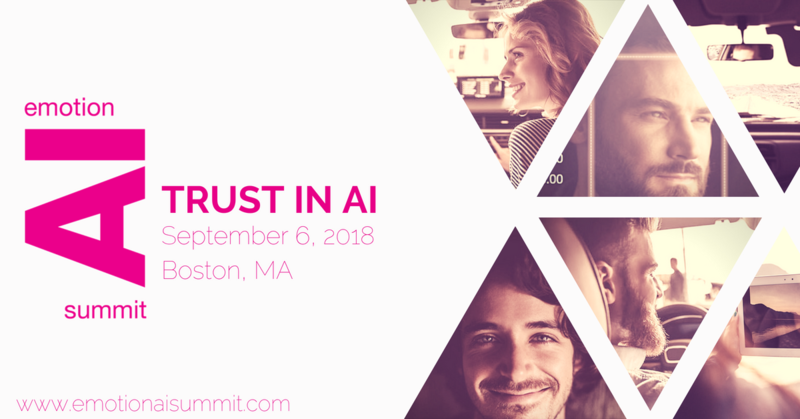 Affectiva organized the 2nd Emotion AI Summit on September 6, 2018 at The State Room in Downtown Boston. The Emotion AI Summit brought together business and technology leaders to discuss Emotion AI, its practical applications today and where it will go in the future. Emotion AI is transformative to many areas including conversational interfaces, social robotics, automotive, education, wellness and consumer insights. The Emotion AI Summit explored the business applications of Emotion AI in some of these areas, in a day packed with discussion and learning. We have made the recorded sessions available for you. Fill out the form below to access the keynotes, panels and slides.